St. Martin's Press, 9781250072412, 384pp. 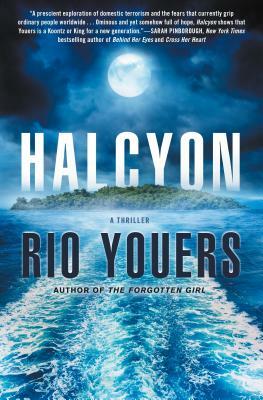 "A prescient exploration of domestic terrorism and the fears that currently grip ordinary people worldwide, Halcyon is a slick, page-turning thriller that establishes Rio Youers as an author with something to say. Ominous and yet somehow full of hope, Halcyon shows that Youers is a Koontz or King for a new generation." —Sarah Pinborough, New York Times bestselling author of Behind Her Eyes and Cross Her Heart. "Rich, multilayered and compulsively readable, Halcyon is a ferocious yet thoughtful and very timely take on our need to believe in a better place." —Michael Marshall, New York Times bestselling author of The Straw Men.